We are our the cusp of the 2019 Aurelian Cup! The various football teams of the continent are coming together to compete for glory. This year's cup is being hosted in the beautiful island country of Oyus. The matches will take place between March 26th and April 6th up and down the islands in the cities of Farla, Mantana, Arbaro, and the capital, Yulaa. This year's cup is expected to be heated with SATAMFC League winner Kipan coming off of an astounding victory over much of the world, and slightly favored to win the Cup -- but who's know, we'll see! The numerous media outlets of Aurelia all have a presence for the Cup and you can follow each team's respective progress independently or through the consolidated feed here. Stay up-to-date with the latest news, commentary, and scores. On a clear and warm spring day in the capital city Yulaa of Oyus, spectators from across Aurelia and select countries invited to the Aurelian Cup came out in droves to attend the opening ceremony and today's matches taking place. The opening ceremony was one choregraphed and designed to be a show of Oyusard culture in dance and references to its mythology while acknowledging the new era Oyus enters and its welcoming of foreigners alike to its islands and emitting a message of unity using a mixture of traditional and modern dance in Oyus and abroad. A vibrant display of colors and sufficient references to the host and outside world, the ceremonies couldn't be labeled less than a success. 4: Oyus takes a shot. It's on target, but saved. 5: Little Flau is shown a Yellow Card. 6: Oyus takes a shot. That's off target. 13: Oyus takes a shot. That's off target. 15: Little Flau takes a shot. That's off target. 16: Oyus takes a shot. That's off target. 19: Oyus takes a shot. It's on target, but saved. 20: Oyus takes a shot. That's off target. 30: Oyus is shown a Yellow Card. 54: Little Flau takes a shot. It's on target, but saved. 59: Oyus takes a shot. It's on target, but saved. 62: Oyus takes a shot. It's on target, but saved. 63: Little Flau takes a shot. It's on target, but saved. 66: Little Flau takes a shot. It's on target, but saved. 78: Oyus takes a shot. That's off target. 86: Little Flau takes a shot. That's off target. 88: Little Flau takes a shot. It's on target, but saved. 10: Selayar is shown a Yellow Card. 14: Selayar is shown a Yellow Card. 15: Selayar takes a shot. That's off target. 16: Selayar takes a shot. That's off target. 19: Selayar takes a shot. That's off target. 20: Kipan takes a shot. It's on target, but saved. 33: Selayar takes a shot. That's off target. 34: Kipan is shown a Yellow Card. 35: Selayar takes a shot. It's on target, but saved. 39: Kipan takes a shot. It's on target, but saved. 40: Kipan takes a shot. That's off target. 46: Selayar takes a shot. It's on target, but saved. 51: Kipan takes a shot. That's off target. 52: Kipan takes a shot. It's on target, but saved. 62: Selayar takes a shot. That's off target. 63: Selayar takes a shot. It's on target, but saved. 64: Selayar takes a shot. It's on target, but saved. 72: Selayar takes a shot. It's on target, but saved. 74: Selayar takes a shot. That's off target. 78: Selayar takes a shot. It's on target, but saved. 79: Kipan takes a shot. That's off target. 80: Kipan takes a shot. It's on target, but saved. 82: Kipan takes a shot. It's on target, but saved. 83: Kipan takes a shot. It's on target, but saved. 87: Selayar takes a shot. That's off target. 89: Kipan takes a shot. That's off target. 90: Selayar takes a shot. It's on target, but saved. 91: Kipan takes a shot. That's off target. 92: Kipan takes a shot. That's off target. 3: Rihan takes a shot. It's on target, but saved. 12: Little Flau takes a shot. That's off target. 14: Rihan takes a shot. It's on target, but saved. 19: Rihan takes a shot. That's off target. 26: Rihan takes a shot. It's on target, but saved. 30: Rihan is shown a Yellow Card. 31: Rihan takes a shot. It's on target, but saved. 38: Little Flau takes a shot. That's off target. 42: Little Flau takes a shot. It's on target, but saved. 47: Rihan takes a shot. That's off target. 50: Little Flau takes a shot. That's off target. 58: Rihan takes a shot. It's on target, but saved. 65: Little Flau takes a shot. It's on target, but saved. 72: Rihan takes a shot. It's on target, but saved. 73: Little Flau takes a shot. That's off target. 79: Little Flau takes a shot. That's off target. 84: Rihan takes a shot. It's on target, but saved. 90: Rihan takes a shot. It's on target, but saved. 4: Shffahkia is shown a Yellow Card. 17: Asgeirra takes a shot. That's off target. 26: Shffahkia takes a shot. That's off target. 28: Shffahkia takes a shot. It's on target, but saved. 43: Asgeirra takes a shot. It's on target, but saved. 48: Asgeirra takes a shot. It's on target, but saved. 54: Asgeirra takes a shot. It's on target, but saved. 58: Asgeirra is shown a Yellow Card. 60: Asgeirra takes a shot. It's on target, but saved. 62: Asgeirra is shown a Yellow Card. 63: Shffahkia takes a shot. That's off target. 68: Shffahkia takes a shot. That's off target. 70: Shffahkia takes a shot. It's on target, but saved. 71: Asgeirra takes a shot. That's off target. 72: Shffahkia takes a shot. That's off target. 75: Shffahkia takes a shot. It's on target, but saved. 83: Shffahkia takes a shot. That's off target. 88: Shffahkia takes a shot. That's off target. 92: Shffahkia takes a shot. It's on target, but saved. 2: Oyus takes a shot. That's off target. 6: Kirvina takes a shot. That's off target. 14: Kirvina takes a shot. It's on target, but saved. 16: Kirvina takes a shot. It's on target, but saved. 17: Kirvina takes a shot. That's off target. 21: Kirvina takes a shot. It's on target, but saved. 24: Kirvina takes a shot. That's off target. 29: Kirvina is shown a Yellow Card. 32: Kirvina takes a shot. It's on target, but saved. 46: Oyus takes a shot. It's on target, but saved. 47: Oyus takes a shot. That's off target. 51: Kirvina is shown a Yellow Card. 57: Kirvina takes a shot. It's on target, but saved. 58: Kirvina takes a shot. It's on target, but saved. 61: Kirvina takes a shot. That's off target. 62: Kirvina takes a shot. That's off target. 66: Oyus takes a shot. That's off target. 68: Oyus takes a shot. That's off target. 72: Oyus takes a shot. It's on target, but saved. 74: Oyus takes a shot. That's off target. 75: Oyus takes a shot. That's off target. 78: Kirvina is shown a Yellow Card. 80: Oyus takes a shot. That's off target. 85: Oyus takes a shot. That's off target. 89: Kirvina takes a shot. That's off target. 90: Kirvina takes a shot. That's off target. 91: Kirvina takes a shot. That's off target. 7: Selayar takes a shot. That's off target. 8: Asgeirra takes a shot. That's off target. 11: Asgeirra takes a shot. That's off target. 24: Selayar takes a shot. That's off target. 28: Selayar takes a shot. That's off target. 32: Selayar takes a shot. That's off target. 36: Selayar takes a shot. That's off target. 40: Selayar takes a shot. That's off target. 42: Selayar takes a shot. It's on target, but saved. 50: Selayar takes a shot. That's off target. 59: Selayar takes a shot. That's off target. 61: Selayar is shown a Yellow Card. 62: Asgeirra takes a shot. That's off target. 63: Asgeirra takes a shot. That's off target. 73: Selayar is shown a Yellow Card. 75: Selayar is shown a Yellow Card. 78: Asgeirra takes a shot. That's off target. 81: Selayar takes a shot. That's off target. 91: Asgeirra takes a shot. It's on target, but saved. 2: Rihan takes a shot. It's on target, but saved. 3: Kirvina takes a shot. That's off target. 5: Kirvina takes a shot. That's off target. 7: Kirvina is shown a Yellow Card. 11: Rihan takes a shot. It's on target, but saved. 22: Rihan takes a shot. That's off target. 30: Kirvina takes a shot. That's off target. 31: Kirvina takes a shot. It's on target, but saved. 33: Kirvina takes a shot. It's on target, but saved. 39: Kirvina takes a shot. It's on target, but saved. 43: Rihan takes a shot. That's off target. 44: Kirvina takes a shot. That's off target. 56: Rihan takes a shot. That's off target. 63: Rihan takes a shot. That's off target. 65: Kirvina takes a shot. That's off target. 69: Kirvina takes a shot. That's off target. 72: Rihan takes a shot. That's off target. 73: Rihan takes a shot. That's off target. 75: Rihan takes a shot. It's on target, but saved. 87: Kirvina takes a shot. That's off target. 90: Kirvina takes a shot. It's on target, but saved. 19: Kipan takes a shot. That's off target. 22: Kipan is shown a Yellow Card. 24: Kipan is shown a Yellow Card. 29: Kipan takes a shot. That's off target. 31: Kipan takes a shot. That's off target. 32: Shffahkia takes a shot. It's on target, but saved. 34: Shffahkia is shown a Yellow Card. 36: Shffahkia takes a shot. It's on target, but saved. 38: Kipan takes a shot. It's on target, but saved. 42: Kipan takes a shot. It's on target, but saved. 44: Kipan takes a shot. It's on target, but saved. 49: Kipan takes a shot. That's off target. 54: Kipan takes a shot. It's on target, but saved. 56: Shffahkia is shown a Yellow Card. 59: Shffahkia takes a shot. That's off target. 77: Shffahkia takes a shot. That's off target. 81: Kipan takes a shot. It's on target, but saved. 82: Shffahkia takes a shot. It's on target, but saved. 84: Shffahkia takes a shot. That's off target. 5: Rihan takes a shot. That's off target. 7: Rihan takes a shot. It's on target, but saved. 10: Oyus takes a shot. It's on target, but saved. 18: Rihan takes a shot. It's on target, but saved. 25: Rihan takes a shot. It's on target, but saved. 32: Oyus takes a shot. That's off target. 39: Rihan is shown a Yellow Card. 43: Oyus takes a shot. That's off target. 44: Rihan takes a shot. It's on target, but saved. 49: Rihan takes a shot. It's on target, but saved. 50: Rihan takes a shot. It's on target, but saved. 52: Oyus takes a shot. That's off target. 53: Rihan is shown a Yellow Card. 54: Rihan takes a shot. It's on target, but saved. 58: Oyus is shown a Yellow Card. 59: Rihan takes a shot. It's on target, but saved. 67: Rihan takes a shot. It's on target, but saved. 71: Oyus takes a shot. It's on target, but saved. 75: Rihan takes a shot. That's off target. 86: Oyus takes a shot. It's on target, but saved. 87: Rihan takes a shot. It's on target, but saved. 91: Oyus takes a shot. It's on target, but saved. 4: Little Flau takes a shot. It's on target, but saved. 8: Little Flau takes a shot. It's on target, but saved. 10: Little Flau takes a shot. That's off target. 22: Little Flau takes a shot. That's off target. 24: Little Flau takes a shot. It's on target, but saved. 37: Little Flau takes a shot. That's off target. 45: Little Flau takes a shot. It's on target, but saved. 49: Kirvina is shown a Red Card. The player has been sent off! 53: Kirvina takes a shot. That's off target. 56: Kirvina is shown a Yellow Card. 59: Kirvina is shown a Yellow Card. 63: Kirvina takes a shot. That's off target. 71: Kirvina takes a shot. It's on target, but saved. 72: Kirvina takes a shot. It's on target, but saved. 76: Little Flau takes a shot. It's on target, but saved. 85: Kirvina takes a shot. It's on target, but saved. 90: Little Flau takes a shot. That's off target. 91: Kirvina takes a shot. It's on target, but saved. 3: Shffahkia takes a shot. It's on target, but saved. 6: Selayar takes a shot. It's on target, but saved. 8: Shffahkia takes a shot. That's off target. 23: Shffahkia takes a shot. It's on target, but saved. 27: Shffahkia is shown a Red Card. The player has been sent off! 28: Shffahkia takes a shot. That's off target. 34: Selayar takes a shot. That's off target. 35: Shffahkia takes a shot. It's on target, but saved. 44: Shffahkia takes a shot. That's off target. 45: Selayar is shown a Yellow Card. 51: Selayar takes a shot. That's off target. 55: Selayar takes a shot. That's off target. 64: Shffahkia takes a shot. It's on target, but saved. 65: Shffahkia takes a shot. That's off target. 68: Selayar is shown a Yellow Card. 71: Selayar takes a shot. It's on target, but saved. 76: Selayar takes a shot. It's on target, but saved. 81: Shffahkia takes a shot. That's off target. 88: Selayar is shown a Yellow Card. 89: Selayar takes a shot. That's off target. 1: Kipan takes a shot. It's on target, but saved. 4: Asgeirra is shown a Yellow Card. 9: Asgeirra takes a shot. That's off target. 11: Kipan takes a shot. It's on target, but saved. 12: Asgeirra takes a shot. That's off target. 14: Asgeirra takes a shot. That's off target. 18: Asgeirra is shown a Yellow Card. 19: Kipan is shown a Yellow Card. 25: Asgeirra takes a shot. It's on target, but saved. 35: Asgeirra takes a shot. It's on target, but saved. 37: Kipan takes a shot. That's off target. 41: Asgeirra takes a shot. It's on target, but saved. 47: Kipan takes a shot. That's off target. 50: Kipan takes a shot. That's off target. 55: Asgeirra takes a shot. It's on target, but saved. 60: Kipan takes a shot. That's off target. 66: Asgeirra takes a shot. It's on target, but saved. 68: Asgeirra takes a shot. It's on target, but saved. 73: Asgeirra takes a shot. That's off target. 74: Kipan takes a shot. That's off target. 75: Kipan is shown a Yellow Card. 85: Kipan is shown a Yellow Card. Good luck to all four teams! 4: Kipan takes a shot. That's off target. 6: Kipan takes a shot. That's off target. 8: Kipan takes a shot. That's off target. 17: Rihan takes a shot. It's on target, but saved. 21: Rihan takes a shot. That's off target. 23: Rihan takes a shot. That's off target. 29: Kipan takes a shot. It's on target, but saved. 39: Rihan takes a shot. That's off target. 59: Kipan takes a shot. It's on target, but saved. 63: Kipan takes a shot. That's off target. 64: Kipan takes a shot. It's on target, but saved. 65: Rihan takes a shot. It's on target, but saved. 75: Kipan takes a shot. It's on target, but saved. 80: Kipan takes a shot. That's off target. 84: Rihan is shown a Yellow Card. Kipan will be in the Aurelian Cup finals, facing the winner of tomorrow's match. Rihan will play the loser to earn third place in the Aurelian Cup. 5: Asgeirria takes a shot. That's off target. 8: Kirvina takes a shot. It's on target, but saved. 9: Asgeirria takes a shot. It's on target, but saved. 11: Asgeirria takes a shot. It's on target, but saved. 17: Asgeirria takes a shot. That's off target. 28: Asgeirria takes a shot. It's on target, but saved. 29: Kirvina takes a shot. That's off target. 47: Kirvina takes a shot. It's on target, but saved. 55: Asgeirria takes a shot. That's off target. 57: Asgeirria is shown a Yellow Card. 61: Asgeirria takes a shot. It's on target, but saved. 63: Kirvina is shown a Yellow Card. 64: Asgeirria takes a shot. That's off target. 67: Kirvina takes a shot. That's off target. 71: Kirvina is shown a Yellow Card. 78: Asgeirria takes a shot. That's off target. 80: Asgeirria is shown a Yellow Card. 82: Asgeirria takes a shot. That's off target. 83: Asgeirria is shown a Yellow Card. 92: Kirvina takes a shot. That's off target. 93: Kirvina takes a shot. That's off target. 97: Asgeirria takes a shot. It's on target, but saved. 98: Kirvina takes a shot. It's on target, but saved. 103: Kirvina takes a shot. That's off target. 108: Asgeirria takes a shot. It's on target, but saved. 109: Kirvina takes a shot. That's off target. 111: Kirvina takes a shot. That's off target. 115: Asgeirria takes a shot. It's on target, but saved. 116: Asgeirria takes a shot. That's off target. 117: Kirvina takes a shot. That's off target. 1: Asgeirria is shown a Yellow Card. 10: Rihan takes a shot. It's on target, but saved. 11: Rihan takes a shot. That's off target. 24: Asgeirria takes a shot. It's on target, but saved. 26: Asgeirria is shown a Yellow Card. 31: Rihan takes a shot. That's off target. 34: Asgeirria takes a shot. It's on target, but saved. 37: Rihan takes a shot. It's on target, but saved. 40: Rihan takes a shot. That's off target. 44: Asgeirria takes a shot. That's off target. 47: Asgeirria takes a shot. That's off target. 48: Rihan takes a shot. That's off target. 49: Rihan is shown a Yellow Card. 54: Asgeirria takes a shot. That's off target. 59: Asgeirria takes a shot. It's on target, but saved. 60: Asgeirria is shown a Yellow Card. 63: Asgeirria takes a shot. That's off target. 67: Rihan takes a shot. That's off target. 68: Asgeirria is shown a Yellow Card. 74: Rihan takes a shot. It's on target, but saved. 76: Asgeirria takes a shot. That's off target. 78: Rihan takes a shot. That's off target. 79: Asgeirria takes a shot. It's on target, but saved. 83: Rihan is shown a Yellow Card. 84: Rihan takes a shot. That's off target. 89: Asgeirria takes a shot. That's off target. 90: Rihan takes a shot. That's off target. 95: Asgeirria takes a shot. That's off target. 4: Kipan is shown a Yellow Card. 9: Kirvina takes a shot. It's on target, but saved. 12: Kipan takes a shot. That's off target. 22: Kirvina takes a shot. It's on target, but saved. 24: Kirvina is shown a Yellow Card. 27: Kipan takes a shot. That's off target. 31: Kipan takes a shot. It's on target, but saved. 50: Kirvina takes a shot. It's on target, but saved. 52: Kirvina takes a shot. It's on target, but saved. 56: Kipan takes a shot. It's on target, but saved. 62: Kipan takes a shot. That's off target. 70: Kipan takes a shot. That's off target. 72: Kipan takes a shot. That's off target. 79: Kipan takes a shot. It's on target, but saved. 84: Kipan is shown a Yellow Card. 85: Kirvina takes a shot. That's off target. 91: Kipan takes a shot. It's on target, but saved. 94: Kipan takes a shot. That's off target. 104: Kipan takes a shot. It's on target, but saved. 116: Kirvina is shown a Yellow Card. 118: Kirvina takes a shot. It's on target, but saved. 120: Kirvina takes a shot. It's on target, but saved. Penalty Goals: Kipan: 11, Kirvina: 10. Kipan wins the Aurelian Cup! Kirvina ends the competition in second place. The year was 1807. Dark stormclouds gathered across the Aurelian continent, promising to burst and shower its citizens in a torrent of unyielding blood. Aurelia may have been at the corner of the world geographically, but its residents saw themselves as its center- proud, stoic, and innovative. It had already been host to all manner of events, including a full crusade, and not one but two great migrations. The continent had weathered a thousand storms. And yet, heralded by the modern age, there came another- one so promisingly devastating, one so divine in its terror, that even right before it all but those at the very top held their breath and prayed that it would not arrive. This is no cataclysm of God, this is no epidemic. These are the Eustacian Wars, a work of man himself, and I will recount them, battle by battle, step by step, the genius and folly of each great general and legislator as he left his stamp in the annals. The page will be covered in red ere we are done. But before we introduce a battle, we must introduce its battleground, those who are battling, and its background. The atmosphere in Aurelia through the nineteenth century was unprecedentedly tense, but it was not as tense at any point as it was at this one. The forces that made up the continent had begun to finally, after centuries of co-existence, collide in the most spectacular fashion possible. Their colonial overlords having fallen to revolution, the Shffahkians had cast off their Europan chains- and set about with, in their eyes, a right ordained by God to dominate this backwards and heathen continent- to stretch from sea to sea, a glorious imperial sprawl. Their nascent republic had been a whirling inferno, unstable and plagued with infighting- executions, filibustering, and corruption. This had come to an end with the meteoric rise of a young general, Eustace Talante, who after a victorious showing in a campaign to reclaim Lunahasse from the loyalists had earned himself the support of his soldiers. Not wasting a moment, he had marched back to Port-Reel and proclaimed himself not General, not Viceroy, but Emperor, casting out the old government at gunpoint and having many of its radicals shot. What he destroyed and desecrated in intellectualism, he made up for in stability, and after a quick reorganization of his country's administrative divisions and fundamental laws- changes that would persist to the present day- he organized himself for the long march south to the other coast. Unfortunately, in his view, there were other nations between himself and that great prize. Specifically, the ancient entente between two powers of Tagmatine descent- the Kirvinska and the Rihannsu- that was no pushover in its own right. His settlers' encroachments to the south had been met with reactions ranging from cold distaste to outright hostility, and now that it was a decision backed outright by the government, he was certain that it could lead to nothing but outright war. Still, for a few years, he gathered his munitions and men, deciding where it was best for him to travel and where it was best for him to begin his grand campaigns. But his opponents were not idle either. They did not rest in the face of such danger. Sensing in this Emperor's belligerent rhetoric the desperate search for a casus belli, the Kirvinska Grand Duke Constantine had set to shoring up his ancient defenses. His government partially paralyzed by rebellious magnates and a lack of funds in the treasury, his reign thus far had been hamstrung with difficulties. The military infrastructure on the borders had degraded, and so had the quality of the land army, being made up now of a pitiful lot of conscripts and robbers. In these few years before the war, he was granted critical moments to make changes that he thought- and were indeed- necessary and vital. The first of these sweeping changes was the transition of a lot of the Marines into a land army. The Kirvinska navy had always been the pride of the nation, owing to their origin and their overseas ambitions, and while they sprawled as a land empire their hearts always gazed outward to the ocean. This meant that these troops had been spared the budget cut, and so he was able to create a functional army in a fraction of the time that he would otherwise need. Another sweeping change was the revitalization of the border fortifications and the border guards, the Akralai. The Emperor Eustace, through his aggressive stance, had granted to Constantine the perceived threat he needed to curtail the power of his magnates and draw them into a much closer role serving him. With their money, he was able to bring spending up to normative levels once again, and prepare his soldiers for a protracted war. Whatever other historians may write, there were no misconceptions among higher leadership about the likelihood of this battle. It was expected, and planned for. The Rihannsu, faced with their recent unification, were confronted as well with the problem of an extremely low core manpower and extremely low core discipline. While their men were brave and willing to fight, even to the death, they were not of the sort of quality that could carry on through Aurelia's harsh conditions without the promise of battle or glory. So they would have to be drilled. And yet, there was not time to drill them, at least not in the lengthy Kirvinska fashion. A School of Desperation, 'Fhilvanam', began to take hold among the Rihannsu generals. Corners were cut and men were prepared with only a small piece of the usual training, just the essentials. It was the greatest hope of Rihannsu High Command that they would be spared the most crushing blows, and as such would have more time to refine these troops into a genuine fighting force up to Europan or Argic standards, with the help of their ally, of course. All three made ready for war, shifting resources to the border area and sending increasingly threatening messages to the other side. There was, however, another player in the game. The Tárek, the indigenous people of the Aurelian continent, straddled lengthwise between the three increasingly menacing great powers. Their history was one of long tragedy, a slow and painful decline from all sides gnawing and clawing at them. First of all it had been their most noble foe, the Kirvinska tribesmen who had come overseas to leave their fates as clients to the Aromans. From them they had learned steelworking and ironworking, animal husbandry, and the art of constructing grand metropolises to house thousands upon thousands of citizens. But the battle against this foe had not been a winning one. A slow retreat over the course of hundreds of years drove not just the Tárek states, but the Tárek people, over the Batreasca to never return. Then came the foreigners. The Rihannsu, and in rapid succession the Lysians, the Limonaians, and the Derthalers. These foes had no scruples. They destroyed the greatest, glistening holdouts of the Tárek people, never to be rebuilt. This grave injury was remembered, and carried in every true tribesman's heart. In the middle as they were, they would have to choose a side before too long, or perish in the blaze. I am Latevrán Harfevre, Right Hand of the Recordkeepers of Ceara. In this bright summer of 1876, as the Gods are my witnesses, I will tell this grim story from beginning to end. The Aurelian Continental Football Association, the sub-governing body of all football teams on the continent of Aurelia, shall be having its annual tournament. This year, the Cup will be played in Oyus. The Argis and Northern Alharu Football Association (ANAFA) and the Southern Alharu, Thalassian, Aurelian and Marenesian Football Confederation (SATAMFC) will both be having their respective league cups start on 8th October (this upcoming Monday). This post walks through the teams that make up each confederation that is slated to appear in each competitive grouping (specific match-ups will be not be determined until the night before). Results of each match will be generated using the FIFA web generator used for the World Cup back at the beginning of the summer (following this cycle of matches, a more formal formula will be devised). Each slated match will only be generated once on the day of the match in question. Prymont, Limonaia, and I strongly encourage participating countries to write posts over the course of the League Cups. 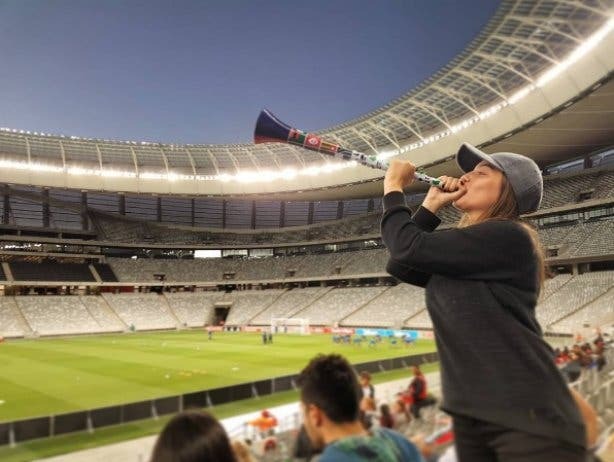 These do not need to specifically match reviews, but they also individuals at home reacting, or a journalist reporting on the result of the match, or even actions occurring during the match itself (coach yelling at players for example). We do not want to be too demanding, but it would great if people could write a few paragraphs (2-4 at minimum). It is my personal intention of trying to use the information generated in these posts to write detailed wiki pages following the end of the competitions that will add flavor beyond just match score results. If you need help generating some ideas for such posts, feel free to run some ideas by the three of us. Please look here UENA Football Teams for team information. Many of the teams in the above list have already provided such information in the past and hence, do not need to do this again. Ahrana, Sayf, Seylos, Faramount, Andalla, and Pallamara: I need team information (see the UENA Football Teams category on iiWiki) from you. All slated participants from the above lists must post a response in this thread recognizing that they've read the above post by no later than Sunday afternoon 1pm ET. Their response will be accepted as formal registration for these games. If an above-slated participant does not respond by the deadline, they will be replaced with another potential nation who will be contacted by me.